The property of the Meliá Villaitana is designed as a Mediterranean village. It is located between two beautiful golf courses, which were designed by Nicklaus Design, and boasts wonderful views towards Gran Bahía (the Great Bay) on the Costa Blanca. The hotel’s 25 individual buildings are unique in their architectural style. They feature picturesque squares and beautiful historical sites of the region. Its remarkable style and concept of exclusivity, comfort and high-quality service make the hotel a novel experience for both leisure and business travellers on the Costa Blanca. The hotel has two golf courses, 5,000 sqm outdoor pools and offers a great selection of exclusive restaurants. Besides, there are two tennis courts and six paddle tennis courts, a playground, a kids club, an artificial beach, and an amazing Spa & Wellness Center with 13 treatment rooms, thermal pools, fully-equipped gym and a relaxation room. The hotel’s Convention Center is 6,000 sqm large and boasts 17 meeting rooms that all meet the requirements for a professional conference and any other large event. You will find Meliá Villaitana about 20 minutes from Alicante’s city centre. It has an exceptional location right on the famous Costa Blanca, where visitors will always enjoy nice mild winters and warms summers with pleasent sea breezes. Apart from its beaches and magnificent coves, the Costa Blanca is known for many other places in which modernity and tradition merge. Alicante, Denia, Altea, Calpe, Javea and Moraira are nearby coastal destinations with an ideal climate for doing all kinds of water sports. 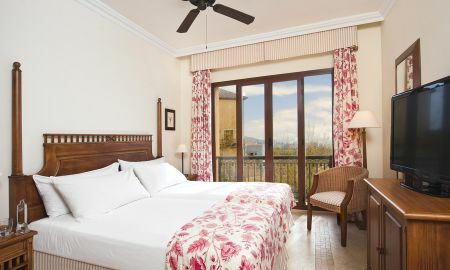 The hotel is around 50 km from Alicante International Airport and 134 km from Valencia International Airport. 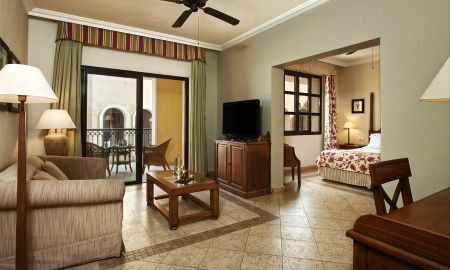 Meliá Villaitana is easy to access by car via the N-332 and the AP-7 motorway, which you then have to leave at exit 65-A. In addition, the hotel features good transport connections as many bus stops and a tram station are just nearby.